The COAI-EY Technology, Media and Telecommunications networking evening was an exclusive platform to “connect and collaborate” with business leaders, innovators and Government dignitaries. Shri Manoj Sinha, Honourable Minister of State (Independent Charge) for Communications & Minister of State for Railway was the chief guest. The key highlight was a panel discussion on decoding disruption presided by Smt. Aruna Sundararajan, Sec (T) & Chairperson, Telecom Commission. Today, digital disruption is reshaping the world around us. Mr. Mathew Oommen, President – Reliance & Director, RJIL highlighted that affordable broadband and artificial intelligence had made the biggest impact in India. While, Mr. Akhil Gupta, Vice-Chairman, Bharti Enterprises & Chairman, Bharti Infratel commented that payments and distribution of financial services has been the biggest disruptor in India. India has become the largest data guzzler in the world. According to Mr. Mathew Oommen, data is the biggest market driver and a very critical asset. Emphasizing on data safety, Ms. Aruna Sundararajan commented that India is at the forefront of most of the global initiatives. Going forward, operators must look at creating net-cos or network companies by segregating networks from operations and pooling active components. Mr. Akhil Gupta emphasized that creating a robust infrastructure is critical. He went on to say that if any infrastructure is put up, it has to be shared. Mr. Mathew Oommen quipped that fibre and 5G are complementary. Convergence is leading to new ways of working. Mr. Sanjay Malik, Head of India Market, Nokia Networks commented that in the next 10 years networks will converge utilizing open software and architecture. He further emphasized that owing to personalization of content and with newer services such as virtual reality, OTTs and robotics, network slicing will be in focus. 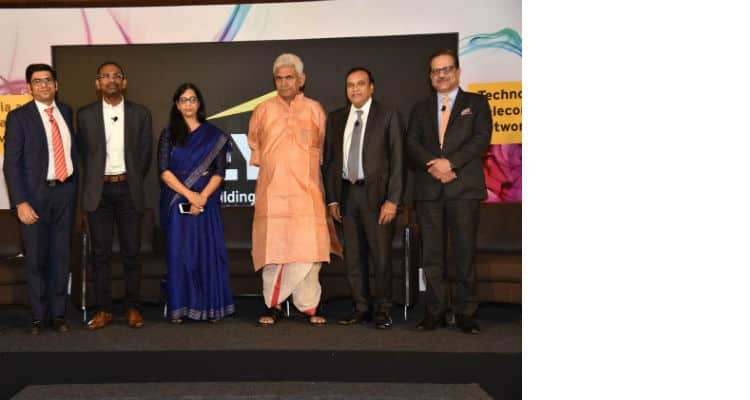 Cellular Operators Association of India (COAI) and EY hosted the Technology, Media and Telecommunication networking evening on Friday, 26 October 2018. It was a fun-filled event that brought together TMT industry stalwarts who deliberated on decoding disruption. New technology adoption, led by 5G, to transform the lives of Indians: EY 0 out of 5 based on 0 ratings. 0 user reviews.